If you’ve noticed customers sharing meals, or going with a simple soup and salad combo instead of an actual entree, then it might be time to rethink your food truck portion sizes. The key is remembering that in cutting food truck portions is that you do strategically. Don’t look like you’re “being stingy” with your food truck customers. Food truck vendors need to watch the portion sizes coming out of their kitchens just as many diners want to watch the portion sizes of the foods they eat. Every item on your menu should have a controlled portion size to keep food cost in check. 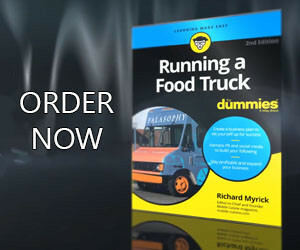 Keeping your food truck costs inline with your profit margin requires a little work. Here are a few tips to help consider your options. If you believe your food truck portions are too large or that your books tell you that you need to lower your food costs, reducing your protein serving portions can help cut down on costs. Cutting even just an ounce off you food truck portions can save dollars and your customers will hardly notice. At 11 or 12 ounces is it really that big of a difference? Sure this may seem like “nickel and diming”, but ultimately it adds up. Bumping up the size of your sides can be used to offset the visual of reduced protein portions. Also creative presentation in general can “bulk up” a dish and create a visual appeal. Try carefully slicing your perfectly prepared meats and serving them over unique vegetables and grains with interesting garnishes, rather than just slapping a hunk of meat into your serving container. Many consumers are eating vegan and vegetarian as of late so meatless dishes using protein-rich grains like quinoa, for example, can also help cut down on meat costs. Changing container sizes can also do the trick. If you’re used to using a 9″x 9″ container, switch to an 8″x 8″. A container actually makes the protein and garnish look bigger than it is, and for many customers, that’s more important in terms of creating a value proposition. You can get away with smaller portions if you can back up your brand with higher-quality ingredients, creative cooking and presentation, and a chef-driven approach. By using this strategy you are able to use the less is more philosophy. You can also build up up your appetizer menu to offer more shareable small plates options. These will have smaller portions at prices not horribly far off from your entrees. The result? They will provide you with higher profit margins. These dishes can also add up quick when you have groups of four or larger showing up to your food truck’s service window which in turn will lead to higher check averages. Customers like predictability and food trucks can ensure healthy profit margins by streamlining their portion sizes. Portion control is an important factor in keeping your food truck business profitable.